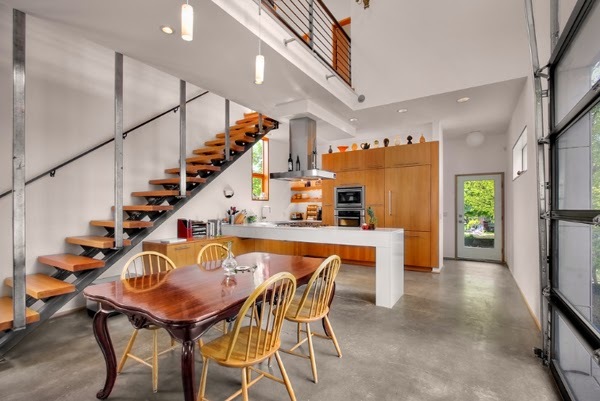 Often, cottages and private homes has a staircase leading to the attic room (under the attic) or on the second floor. 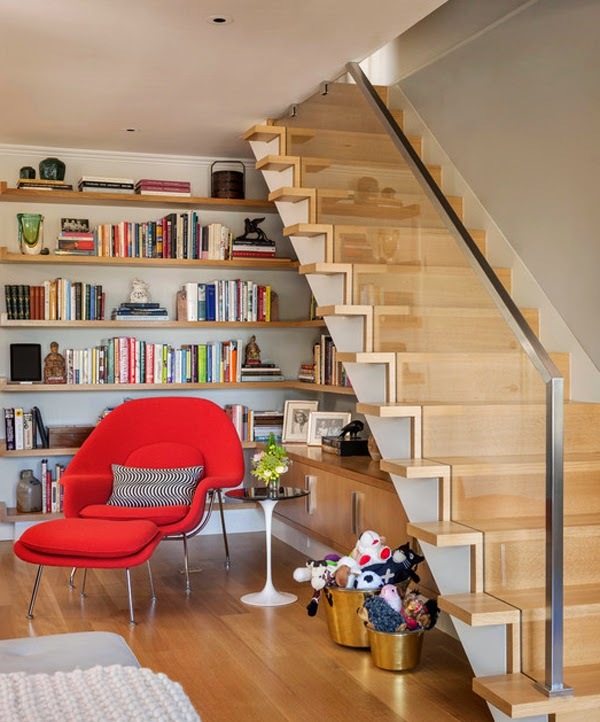 Due to various design under each of stairs is formed space of different shapes and sizes. in these places you can try to storage anything . 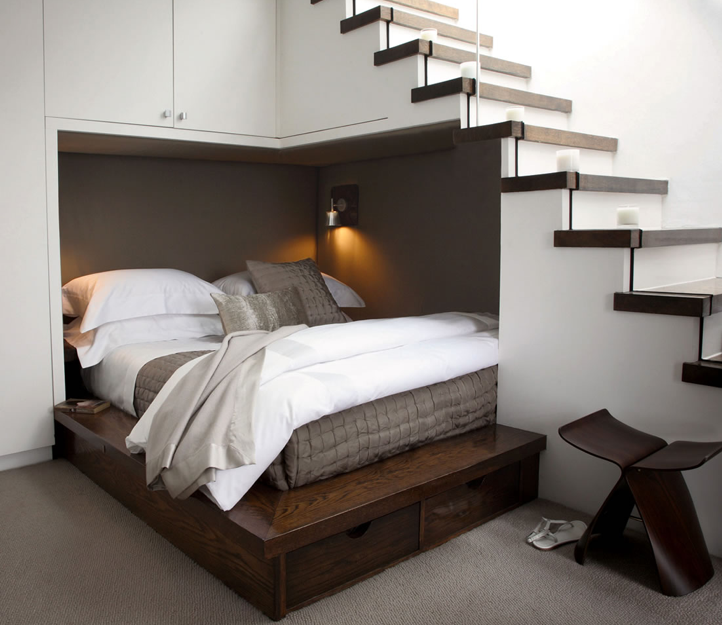 Place under the stairs built in wardrobe. For example the beautiful and spacious wardrobe. In it, you can store a lot of things, as well as add a fresh touch to the interior. If the cabinet for some reason you do not fit under the stairs can be built-in bookshelves or retractable drawers. 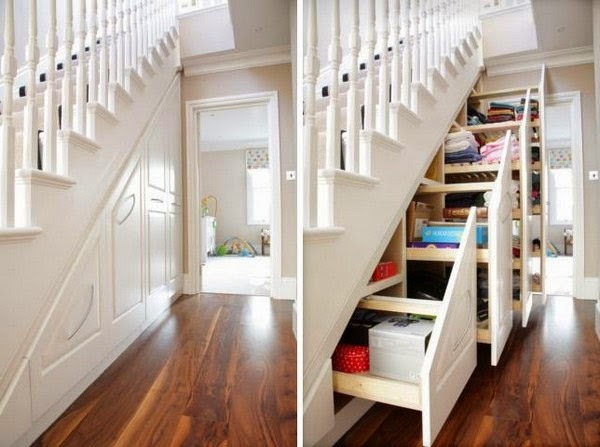 Take the space under stairs storage room. In this small room, you can put a child's sled, biking, fishing tackle. And also there to keep folding garden furniture and garden or winter outerwear. Equip all kinds of closet shelves and then it turns into a pantry where you can hide the blank for the winter. 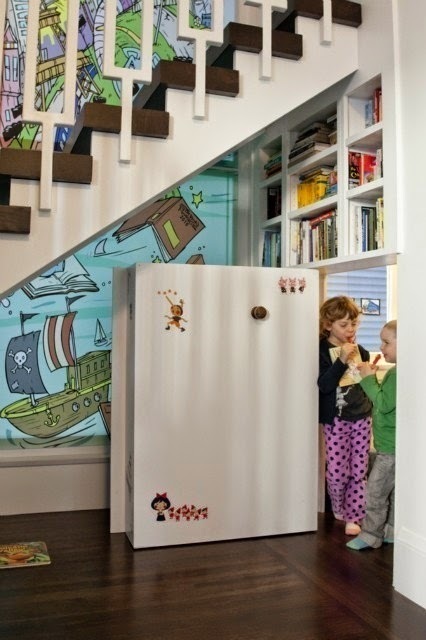 Arrange the closet so that he came to decorating the walls or impressed design stairs. Ideally, if the door leading to this room will not be noticeable. 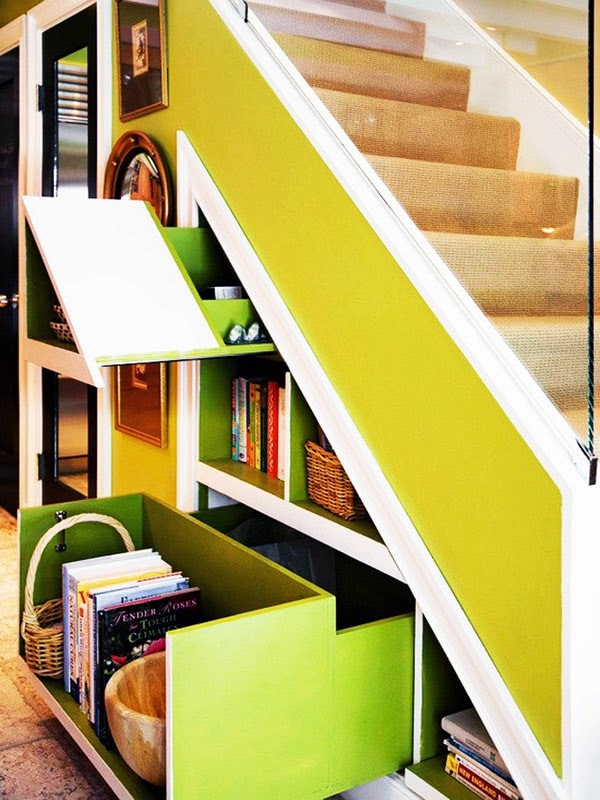 Use space under the stairs to create another room. There can even arrange a sofa or a double bed , if it will be enough space. The best solution would be a bed-closet. In the absence of necessity it can be easily and quickly slide into the wall. Place under the stairs laundry or dressing. Also quite successful stay there fridge, freezer, dishwasher, small kitchen set or even an extra bathroom sink. Place under the stairs can be play area or put a cot. On the walls hang nightlight and funny pictures or posters. And beside the bed lay a soft mat. If you want to use the space under the stairs original - post there aquarium, wine cellar, fireplace or have a greenhouse. You can also equip the bar, and the walls make recesses for glasses and drinks. 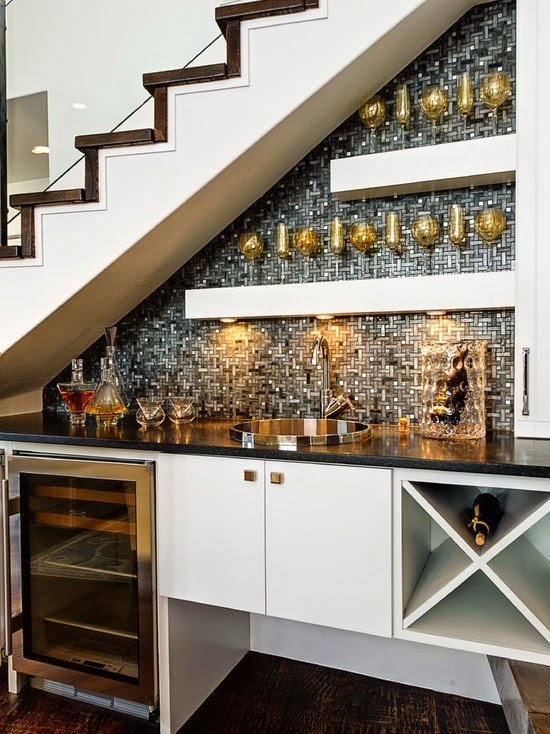 This home minibar certainly will delight you and your friends.